Everybody has heard of “J’accuse”–but …. Everybody has heard of “J’accuse” – but how many people have actually read it? “J’accuse” is so well known that the phrase has become a cliché, and yet I cannot recall having ever come across the letter itself in English translation before I read this book. How many of us actually know the arguments – much less the powerful prose – that Zola actually used? 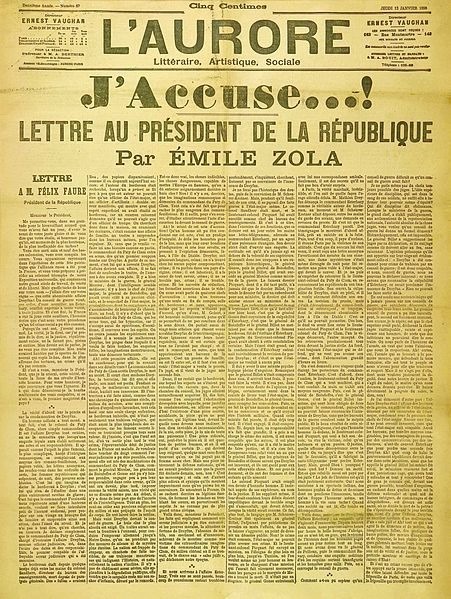 It is a pity that Zola’s polemical work is not more read – especially considering that Zola was forced into exile by an unjust libel conviction. While I have not read the original French letters, I found Leviuex’s translation to be a powerful work, and I wholeheartedly recommend it.